Below, the basic concepts of SimPy - and how they apply to the problem of simulating Ordinary Differential Equations -will be overviewed. $ python -c "import simpy; simpy.test()"
A dynamic system, say a mass-spring system, can be characterized by the relation between its state variables and its inputs. This relation is expressed in the form of differential equations (and in that case "Ordinary Differential Equations"). To derive the ODE representation, we rely on laws of physics with the level of accuracy and fidelity we consider appropriate for the specific task at hand. Simulating such a system with the help of SimPy is particularly simple as shown in the code section below. Then the system exhibits chaotic behavior as shown in the simulation case study below. 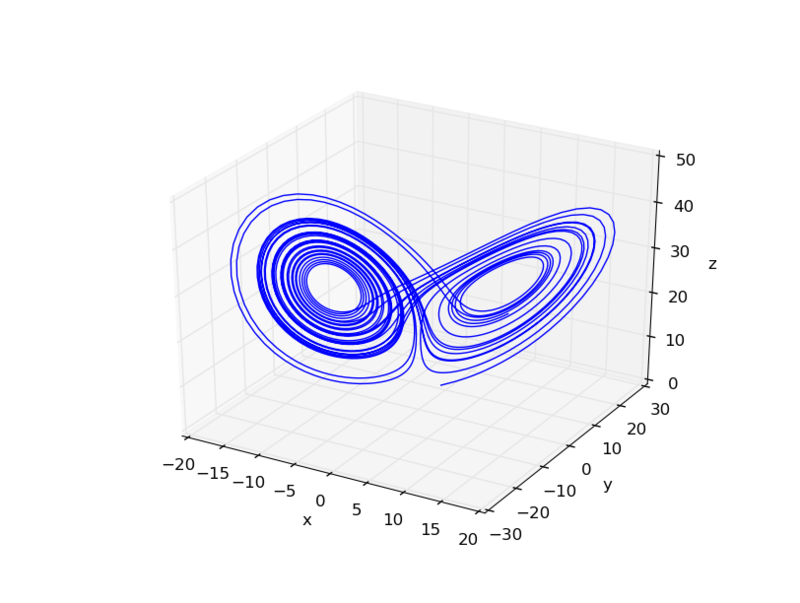 Figure 3: Lorenz Attractor expression chaotic behavior. The classes/methods below implement the simulation of the vehicle dynamics of a quadrotor aerial robot. The system is considered to be captured using rigid body modeling and the four thrust vectors attached to it, while its self-response is only characterized by its mass and the cross-inertia terms. Within that framework, scipy is employed for the forward integration purposes of the state update, while direct calculations and linear algebra are employed for the moment/forces calculations as well as the coordinate system transformations. its state to self._dt seconds. of the flight. It is an array of tuples. 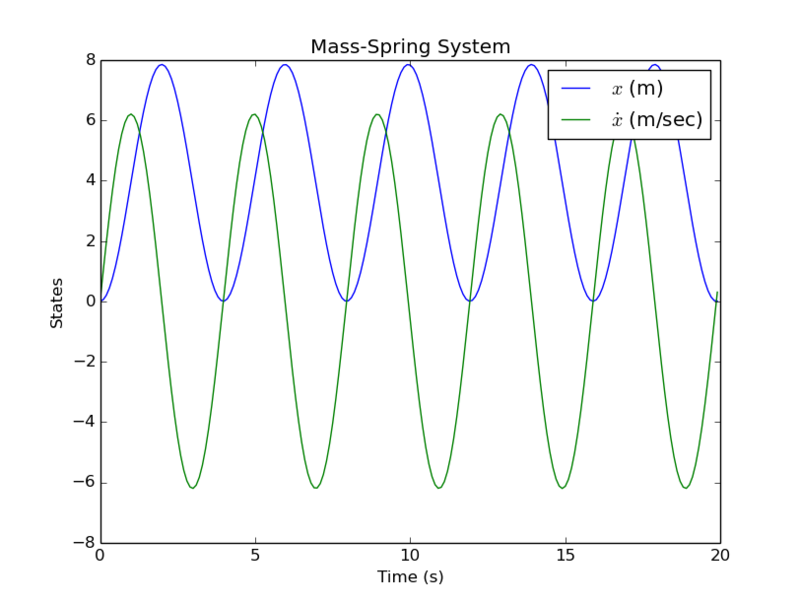 The desired angular acceleration that the system should achieve.